Patbingsu is the Korean version of our halo-halo, but their main ingredient aside from the very fine crushed ice with condesed milk is obviously the “pat” (azuki beans). Patbingsu is a popular variety of “Bingsu/Bingsoo”—a special dessert in East Asia during summer. Patbingsu is usually topped with a type of rice cake called injeolmi made with sweet rice powder. 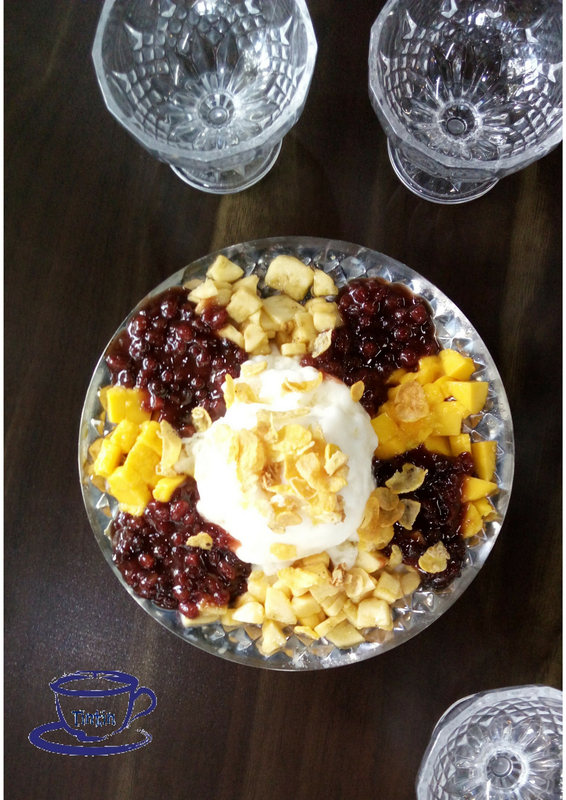 Unlike our own halo-halo where milk is showered above the ice, Patbingsu’s smooth ice is already mixed with milk. Aside from the beans, you can put on any fruit toppings or other complimentary that you can think of. In Soo Hyang Restaurant in Clark, they’re also putting cereals to add other texture on it.